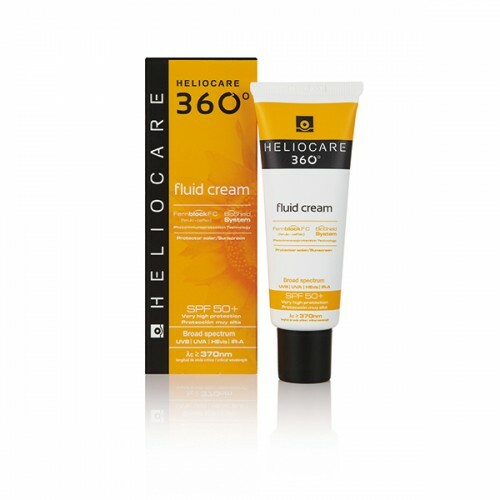 A rich cream with an advanced moisturising complex that leaves the skin feeling soft and hydrated. Great for those with dry skin. Unique formulation with advanced filters and Bioshield System that provides broad spectrum protection against UVA, UVB, Visible Light and IR-A (infrared-A radiation). Enriched with Fernblock® FC for powerful antioxidant activity, and actives which repair sun damage, such as DNA damage and premature skin aging. Apply to face and décolleté after following your morning skin care routine. Reapply throughout the day for continued protection, especially after swimming or during periods of intensive exposure.